Lithia Spring Water naturally contains High Conductivity Ionic Electrolytes that are electrically charged particles that help your body function at optimum health. Electrolytes are minerals that include sodium, potassium, calcium, and magnesium. Calcium and magnesium help muscles contract, relax, rebuild and process lactic acid. Sodium and potassium help water retention stay in the right balance inside and outside of cells. 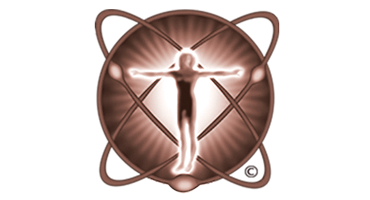 They also promote the neuron thought process and brain health. Sodium is the major electrolyte lost in the highest concentration in perspiration and is essential to maintain health. Lithia Spring Water is a nutrient-rich alkaline mineral spring water that supplies a full spectrum of over 20+ bio-available ionic minerals and trace elements that include a trace amount of lithium and monatomics. The typical measured conductivity of Lithia Spring Water is 4,230 μS/cm, far superior than man-made sports drinks because of the naturally balanced electrolytes: (Na+), potassium (K+), chloride (Cl-), calcium (Ca2+), magnesium (Mg2+), bicarbonate (HCO3-), phosphate (PO42-), sulfate (SO42-). Lithia Spring Water is refreshing, delicious and makes you feel good. It is a superior source of natural High Conductivity Ionic Electrolytes and Superior Hydration. Electrolytes are necessary for proper hydration, sports, and day to day activity. 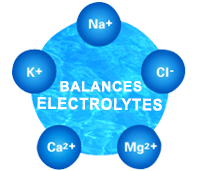 Electrolytes are comprised of minerals that include sodium, potassium, calcium, and magnesium. Calcium and magnesium help muscles contract, relax, rebuild and process lactic acid. Sodium and potassium help water retention stay in the right balance inside and outside of cells. They are also promoting the neuron thought process and brain health. Sodium is the major electrolyte lost in the highest concentration in perspiration and is essential to maintain health. 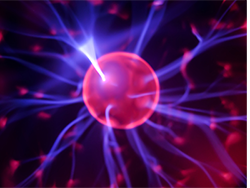 Electrolytes are essential because they are what your cells (especially nerve, heart, and muscles) use to maintain voltages across their cell membranes and to carry electrical impulses (nerve impulses, muscle contractions) across to other cells. In addition, electrolytes concentrate in your kidneys to work to keep your blood constant despite changes in your body. For example, when you exercise heavily, you lose electrolytes through perspiration, losing primarily sodium and potassium. These electrolytic minerals must be replaced to keep the electrolyte concentrations of your body fluids constant. So, almost all sports drinks have sodium chloride and potassium chloride added to them. However, these minerals are in a colloidal compound form and not in an ionic form, found naturally in Lithia Spring Water. Modern sports drinks add artificial sugars, flavorings, and preservatives to provide your body with extra energy and to make the drink taste better. 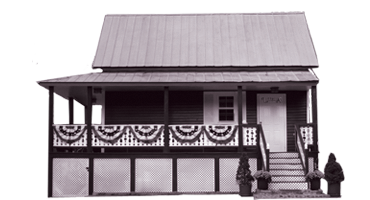 Lithia Spring Water is produced by mother earth and it is a superior natural source of electrolytes. Electrolytes are essential for proper hydration, sports, and day to day activity. Electrolytes are comprised of minerals that include sodium, potassium, calcium, and magnesium. Calcium and magnesium help muscles contract, relax, rebuild and process lactic acid. Sodium and potassium help water retention stay in the right balance inside and outside of cells. They are also promoting the neuron thought process and brain health. Sodium is the major electrolyte lost in the highest concentration in perspiration and is essential to maintain health. Electrolytes are essential because they are what your cells (especially nerve, heart, and muscles) use to maintain voltages across their cell membranes and to carry electrical impulses (nerve impulses, muscle contractions) across to other cells. In addition, electrolytes concentrate in your kidneys to work to keep your blood constant despite changes in your body. For example, when you exercise heavily, you lose electrolytes through perspiration, losing primarily sodium and potassium. These electrolytic minerals must be replaced to keep the electrolyte concentrations of your body fluids constant. So, almost all sports drinks have sodium chloride and potassium chloride added to them. However, these minerals are in a colloidal compound form and not in an ionic form found naturally in Lithia Spring Water. Modern sports drinks add artificial sugars, flavorings, and preservatives to provide your body with extra energy and to make the drink taste better. Lithia Spring Water is produced by mother earth and it is a superior natural source of electrolytes.